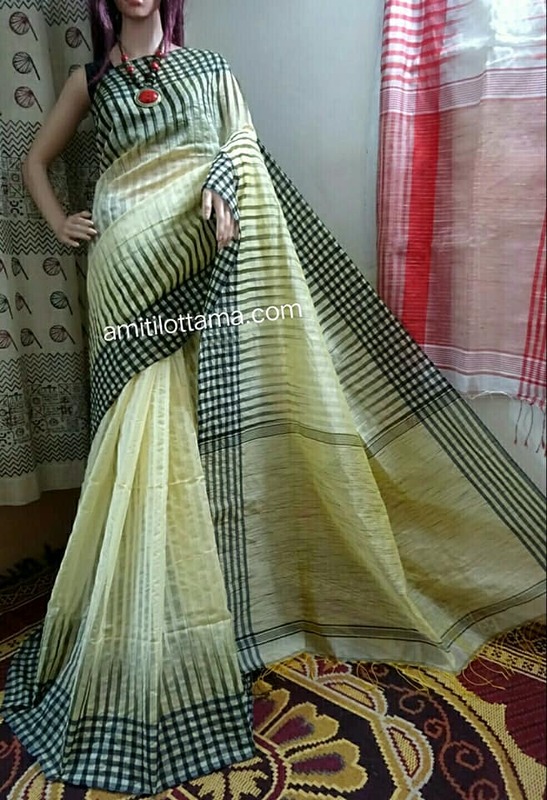 Bengal Handloom Silk Cotton.. Half of the Saree is designed by Machine Embroidery.. Satin border.. With Black BP! !